This is one of my favorite time of year besides Christmas! I love the warm night air, being surrounded by family and friends, the sky being lit up from exploding fireworks, watermelon, and running around barefoot in the cool sand. And nothing is more festive than that for the fourth of July! There are SO many adorable red, white, and blue options right now that you can easily still show your pride while working in the hospital. 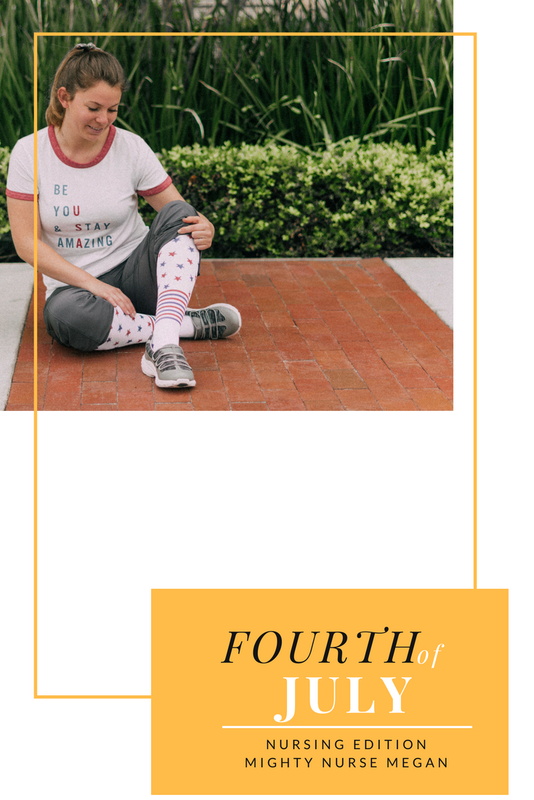 Plus it is easy to transition from work scrubs to your favorite firework watching outfit. One of my favorite and go-to's for celebrating the holidays while being in scrubs is to wear holiday-themed compression socks. 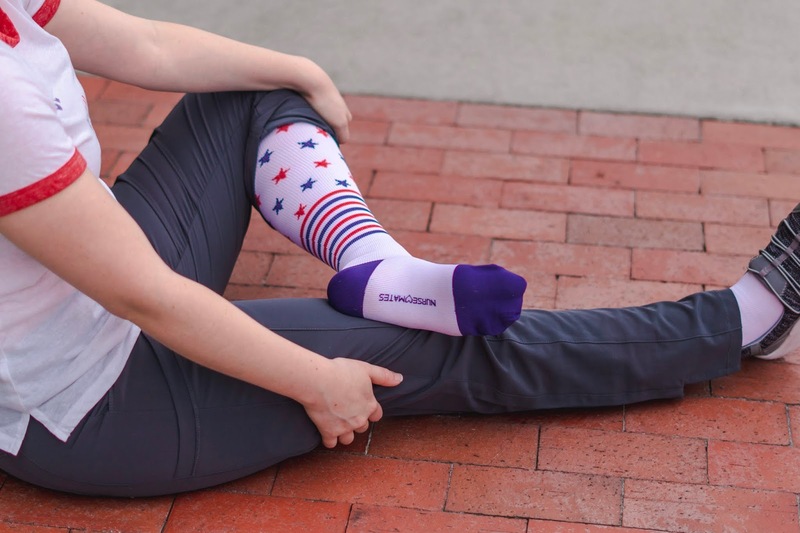 Nothing is more adorable then these red, white, and blue stripes and stars compression socks from Nurse Mates. They are just perfect for the holiday! Here are my other go-to's for dressing up for the holidays while still being appropriate for work! How will you be spending your fourth? !